Three years ago, after serving on the police force for 21 years, Brent retired from the South Mountain Precinct based in Phoenix, Arizona. Years earlier, he was promoted as lieutenant of the precinct and worked a precarious shift: 9 p.m. to 7 a.m.
Brent was facing the “nightly” pressures as patrol lieutenant. He managed four squad areas and oversaw 60 police officers and five sergeants. Needless to mention, Brent was thoroughly exhausted. To release the daily pressures of his job, Brent worked out with fitness trainers, Jill and Andy B., for nearly 20 years. They also happened to be Isagenix Associates. Aware of Brent’s demanding career situation, Andy sat down with Brent to talk about a better solution for his overall health and well-being. Soon Brent noticed increased energy, an improved mood and overall better physical outcomes when pairing Isagenix with his workouts. During his first several months using Isagenix in August 2012, Brent wasn’t interested in the business. It was eight months after using the products that he started getting serious about it. Now, Brent feels much more relaxed—personally and financially. 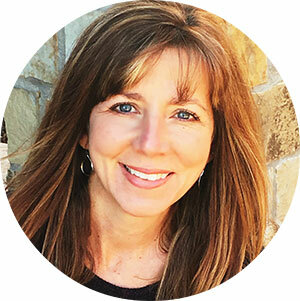 Having experience with a few network marketing companies in the past, Brent was initially skeptical of actually creating a profit with Isagenix. 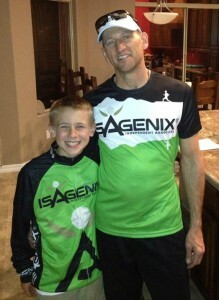 That extra income paid for his Isagenix products, and his belief in the business began to soar. But the best part? Time with his wife, Tracey, and 9-year-old son, Zachary.